Another long weekend has passed and you’re probably posting your pictures on Facebook and Instagram about your marvelous trip to Sagada. Those numerous photos you’ve taken using that ridiculous monopod which you’ve waved around town while you clicked at ooh-this and aah-that with your face always somewhere in the picture. You become the envy of your friends for you were able to ‘conquer’ Sagada and you went on indulging them with your stories of mountains and Igorots. Blah-blah, yada-yada. Forgive the cynicism but you make us hostile. Yes you bring moolah to our place. You eat our food, sleep in our beds, buy our goods—you’ve created one major livelihood for us. But this does not entitle you to act like you own the town. The first rule in entering a place beyond your territory is to display utmost respect to its people, their values, and the environment. If you cannot do that, then Sagada is undeniably not for you. You must have overlooked the fact that Sagada is a small 5th class municipality and we’ve never packaged our place as a pretentious getaway haven that caters to your city comforts (not unless you’ve been misled by your travel agencies who, if you happen to know, are not natives to the place and do not know jack about the community). It grates our ears when you come here being stuck up while you look for your Starbucks and your McDonald’s. You snobbishly demand for towels and hotel amenities from our lodges and homestays yet you must have forgotten that you’re only paying a measly sum for your accommodation (FYI, we have the cheapest inn charges). (Another side but necessary note: My blood still boils whenever I think of that cheap visitor who stole my boots and my books when we’ve graciously welcomed you to utilize my own room just so you can have a roof over your head for the night.) Our wood-paneled rooms are clean, warm, and cozy and if you think you should be getting more than these from your 300PhP or less, then you’re bonkers. We don’t run hotels, we’re humble innkeepers. You grumble sneeringly at our fluctuating internet signal and act as if your disconnection from wawawa means your life. We don’t need to remind you that you’re in a rustic town way up high in the mountains where people have long since lived lavishly and generously without the internet and your urban sophistications. You know, we’re willing not to mind your tactless disregard of our reverence and preference for simple living—that which we wish to supposedly share with you. But you go beyond being gauche. You come to our place and ask for jutes or mj or ganja like it’s buying pandesal from the next door bakery. You regard the locals as if we’re nitwits and you mock our ethnicity with your ignorance. Your incessant and stupid (for lack of a better but apt term) queries about where to find Igorots with their tails, Igorots who stage dances for your sheer pleasure, and Igorots living in caves makes the Igorot in me want to throw my Igorot spear at you. You come and litter our place without the tiniest thought for our town’s cleanliness, cause public disturbance like you’re still back in your sleepless cities, invoke heavy traffic with your vans and SUVs—mindless of ‘no parking’ signages posted right where you senselessly parked your vehicle. You do not heed our municipal ordinances and even have the audacity to be arrogant when we try to relay these to you. It’s pretty obvious I’ve zeroed in on local tourists. Truth is, we’ve grown biased and have come to appreciate foreign visitors more because they know how to appreciate us back. Since the town opened its doors to tourism decades back, foreigners have kept on coming back for the countryside experience which Sagada primarily offers. They come with nothing else but their big backpacks and the expectations of delightful experiences with our nature and our people. They don’t come seeking for what’s not here, they’re not pretentious, they give reverence to our traditions and are not at all ignorant with regards to Sagada’s taboos and values. Though time has inevitably changed the whole backdrop, we have kept our values in place. We Sagadans still appreciate the same things. We give the highest reverence to our simplistic rural life and if you can’t respect that, you and your toffee-nosed self do not deserve the Sagada experience. I have to stop. My obvious hostility might drive you away. Do bear in mind that I do not at all reflect the whole town’s sentiments. And as another disclaimer, I am not generalizing. There are a lot of local tourists who are in awe of the place and its people, for what it is and for who we are. You are the kind of visitors we would love to keep on coming back. Respect begets higher respect. So if you encounter a Sagadan with raised brows and you find we’re not as friendly and hospitable as we innately are, you know there’s a reason for our hostility. You said it. Thank you!!! Well said my friend. I’m in your side. I’m a good friend of Doc Mike Bengwayan, the guru of green revolution in the Cordilleras. I heard many good stories about Sagada, its glory and grandure with brimming expectations. To compliment my visit, I’ll invite you to a drink of tapey with me in one of your meeting joints if you can. I promise, I’ll follow the rules and guidelines of visiting Sagada as you’ved wished for. I’m from Binalonan, Pangasinan, a grassroot Ilocano (not the sophisticate). Any suggestion which way to take to Sagada? By way of Ilocos Sur or Ilocos Norte or Cagayan? Something shorter and safer. I’ll take a Dangwa Bus or or any public transport common to your place. Then from Sagada, I planned to travel down to the famous Banaue rice terraces, the stairway to heaven most exciting than those of Bali. See you. Hello good Sir. I suggest you get to Baguio first. From Baguio, we have Lizardo/GL Trans that can take you straight to Sagada. 🙂 Have a safe trip and hope to see you indeed. Dont even try to fool us down with your stupidity saying you conquer Sagada, because you never did. You(tangalogs) respect reflects respect. please..dont talk in general..tagalog po ako and im proud to say na im not like them..i lived in baguio for almost 5years..and planning to visit sagada..i love highlanders..they are well educated..understanding and very respectful to each other..wag po ninyo lahatin..thank you..
Bro, di ata nagets ni Karen na di sya kausap mo. I think she did say that she’s not generalizing. Much respect for this post. I have not been to Sagada, but this makes me want to experience the pureness of the place I know from the heart. THANK YOU. You took the words right out of my mouth. I know how you feel.. I am not from there, but I’ve been there a number of times. Each time, I left, still at awe at your town’s beauty.. your culture.. your food.. your people.. your simple way of life.. everything about Sagada. I was just in Sagada last Feb. 11-14. I traveled alone hoping that I would meet other local travelers along the road. Well, I did meet very few local travelers who were willing to strike a conversation. Most were snobbish. Truth be told and ironically, I enjoyed the company of foreign visitors more than the local tourists. 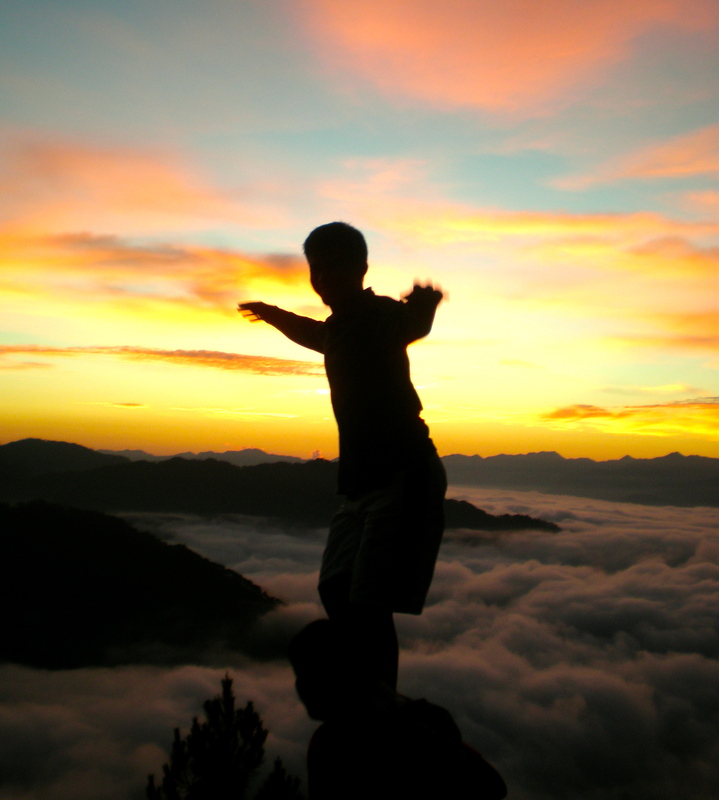 They were more open to experience new things and the adventures that Sagada offers. I am not saying this because of ‘colonial mentality’ but this is based from my experience. In fact, where I stayed, I met this older woman who was complaining about the guesthouse’s “poor” utilities, and was even looking for slippers and towels. Also, I do not agree that we, visitors actually conquer Sagada. If any, it is Sagada that (should) conquer us. That is, going to Sagada or any other unfamiliar place should erase the prejudices ingrained in a tourist’s mind. Sagada is a majestic place, along with its people and everything that it offers. To conquer Sagada means to trample it down which is why I do not buy the tagline of conquering Sagada. Sadly, this happens everywhere. This also explains why some locals were wary of visitors, I cannot blame them. I can only be thankful that the people of Sagada remains to be as warm and kindhearted as you are. Sagada has become the Manila urbanite’s go-to place when they want to be pretentious and say they’ve “traveled.” Sorry, it sounds so snobbish, but it is what it is. Sagada has the misfortune of being one of those “places near Manila to have an adventure without spending a lot.” That being said, I’m sorry but I don’t see myself in Sagada anytime soon–at least not until that “Tadhana” craze had gone down. My fear is going back to Kiltepan and seeing people scream their hearts out just like that Tadhana scene. I agree, and I think this is the dilemma of the majority of the beautiful places in this country. We do not know how to respect territories and communities anymore. Also, the problem with Baguio is that it seems that even the local government doesn’t care about the state of the city so long as there are tourists and the city is earning from them. Even the local residents no longer care. Which is, I guess, the saddest part. Wow. Great post! Keep up the good work. This is a really interesting article. Thanks for sharing it to the world. idiot that we already are. I’ll be visiting Sagada one day along with my family. Brilliant post. I’m one of those whose blood boils at these kind of things. I’ve wanted to go to Sagada but have not because I am still struggling to do away with amenities and the like. I admire those who can be one with nature and the like but readily admit I have a hard time still. I’m taking baby steps and when I am ready, that’s when I’ll visit. Till then, I hope everyone can be honest with themselves as I am so that we can avoid these kind of tourists. tigilan ang pagrereklamo panget un CR, panget un kwarto, walang kumot unan etc. at higit sa lahat matuto sana rumespeto ng mga lokal. ambabaet kaya ng mga lokal! Why do I agree with every single point you have listed? Because they are all so true. I have once argued with a friend with this attitude I called “asal-Maynila” (I am of the opinion that it’s usually the folks from Metro Manila and its neighbouring provinces who are like this). I discuss this lots of times with a friend from Cebu, where this attitude is more than rampant. It is disgusting seeing Filipinos treat fellow Filipinos with I-paid-for-your-services-so-I-can-ask-for-whatever-I-want attitude. I agree with one commenter saying they want to break that selfie stick in half. It’s a blasphemy, taking pictures just to show people that you have been to a place where they aren’t. Overall, it’s irritating. I understand the disdain that this post has. I completely agree. It’s hard to change this attitude overnight, and honestly, I am not optimistic that it will. Galing lang ako sagada last week. Me and my frend decided to have a rest and clear our mind for 4 days in sagada. In 4 days experience, I can tell na sagada is one of the beautiful place we have visited. People are nice, place is cozy and simple at super perfect sa budget namin ng kaibigan ko. These are the things we are actually looking for, a place away from the stress and busy city, magunwind na hindi mauubos ang savings namen. Yup, aaminin ko na isa kami sa mga puro selfie ng kaibigan ko pero hindi namin intension na i “conquer” ang sagada. We are taking pictures of it because we wanted to share the beauty and the magical place of sagada. Hindi ko pagpapalit ang experience ko sa sagada, at kung may pagkakataon, babalik at babalik ako. At hindi ako magsasawang kuhanin ulit ng pictures kasi proud ako sa ganda ng sagada. Respect the people and the place. Hard to swallow, but true Karen. City dwellers like me has much to learn from you – especially on humility and simplicity. I am turned off by those people taking excessive selfies that I want to skewer them with their monopods. As respect begets respect I wish gay men and their flocks of friends act appropriately in public. Complaining about everything under the sun and making all those irritating sounds makes me want to push them down the slopes of Mt. Kiltepan. That would be a great feat – hitting two birds with one stone. For them to see the majestic sunrise and I pushing them towards the ravine, thus they forever miss Lake Danum’s sunset. What a more quieter Sagada we would have isn’t it. I am gay and I know how to act appropriately. As a gay guy who enjoys the company of foreigners, I do receive rude stares. Sadly I get them from the “tangang” local tourists. Foreigners are more restrained. Respectful and do not stare. They do mind their own business. We have lots to learn from these world class travelers. Metro Manila is not a good training ground to be a well rounded tourist. To be one, you all tangalogs has to let go of the drama and excess baggage. Those with pretentious attitudes are meant to be burned alive. Travel light. Keep an open mind. And fill your hearts and mind with all the good memories – newfound friends, a lesson or two, and the mesmerizing sights of Sagada. That Thing Called Tadhana hits the right spot. Level headed people will find this movie a good break from the over the top and cheesy local romantic films. But for the uninitiated, “huwag naman maging tanga, at makiuso at sumigaw sa Mt. Kiltepan” (don’t be a dolt, and ride with the fad yelling at Mt. Kiltepan). There’s Echo Valley. Test if your voice will reverb back. And never ever forget to befriend a local of Sagada. It is our responsibility as visitors to humble ourselves and let go of our inane stupidity and irritating arrogance. A smile and gracious manners will surely bring you to more fulfilling adventures. Thanks Karen for your honesty. I really admire frankness than sweet words full of lies. It is my first time in Sagada and I’m having a blast. For the umpteenth time, a place or activity is pure until it is discovered by the crowd. Such an outpour of emotions.I’m from Manila and went twice last year.Sagada is a place for those who are cultured enough to embrace what it is. I share the same sentiment for your place,your people and culture.Nothing but MUCH RESPECT 🙂 and DISGUST for people who know nothing but pleasure. Creative writers tend to exaggerate some facts just to make the article worth the read and to reinforce some minor arguments. Sagada Tourists, whether they travel DIY or via packaged deals, are versed on what to and what not to expect, how to properly behave, etc. If you observe some misconduct, I am sure they are outliers-not fit for the curve. Though you say you don’t generalize, it seem that you are talking to a vast majority, which is not a case. Ouch.. I am Igorot, purong puro, but I do not like how my fellow mountain people here use the term ‘tangalog.’ As claimed, respect begets respect. May i remind my fellows here that having witnessed such kind of disgusting acts of the local tourists is not a license to give them such a name. And to the local tourists, just embrace the natural beauty of everything, and as told, again and again, respect everything about and in the place. basic Sagada integration does not include any movie-ish pilgrimage…you go there to connect with the culture and feel the Earth’s power through your aching feet and hungry soul…not to feed yourself with your old angst and broken quality time with your pen and paper or even with your own self and family…you leave Sagada with a new goal…and it has to have a timeline if not, you were better off counting your steps while spelunking! taxi from your place of origin in MNL to Victory Liner and vice versa – P150 x 2 =P300 so now its P1,640 so reserve the remaining P360 for food whilst travelling so you now gave a budget of 2k pesos for transpo coming and going. Now what’s your budget for the inn, the guides, your food and souvenir shopping? Some locals are so used to “free this, free that” …. See how they’re going to react if you go and visit their place for free! I’ve been wanting to visit Sagada for the longest time. Pero yun nga, after the tadhana movie, parang I don’t wanna go Muna. Sometimes, it helps being featured sa mga ganong movies to promote tourism but most of the time, it doesn’t. Kasi it really changes the place. Feeling Ko wala na yung authenticity Nung lugar kapag super commercialized na. i hope it doesn’t happen to Sagada. Dahil Hindi na maganda kapag magkaron na ng wifi at Starbucks dun. I agree 100% with all the points raised by the writer here but the tone of this piece made me feel that local tourists from Manila like me (a Tangalog as a couple of commenters here mockingly referred to us) are not welcome in Sagada. This makes me sad as I have been dreaming of doing a solo tour of Sagada for the longest time. Actually, I have heard of comments before from others that people over there in Mountain Province are friendlier to foreigners than to local tourists. This piece made me feel that there is truth to those comments. Again, this saddens me because I am now having second thoughts in visiting Sagada. Besides the big crowds because of the Tadhana movie making the the place less serene, I dont think I will enjoy a place that is not happy with my visit.